Merle Slease Evans was born December 26, 1891 in Columbus, Kansas in 1891 to parents John L. and Sarah Elisabeth (Stoddard) Evans. Before Merle's birth, john and Sarah moved from Paducah, Kentucky. to Columbus where Merle's father found work as foreman in a coal mine. In his early years, young Merle was very ambitious and worked hard at many jobs. He shined shoes at the local barber shop, worked at a greenhouse, drove a delivery wagon, set type at a printing shop, worked as a bell hop, ran a paper route and sold newspapers on a street corner. Watching his sister play the family's piano, Evans took an early interest in music. The city of Columbus had a band which became one of the best bands in the midwest. 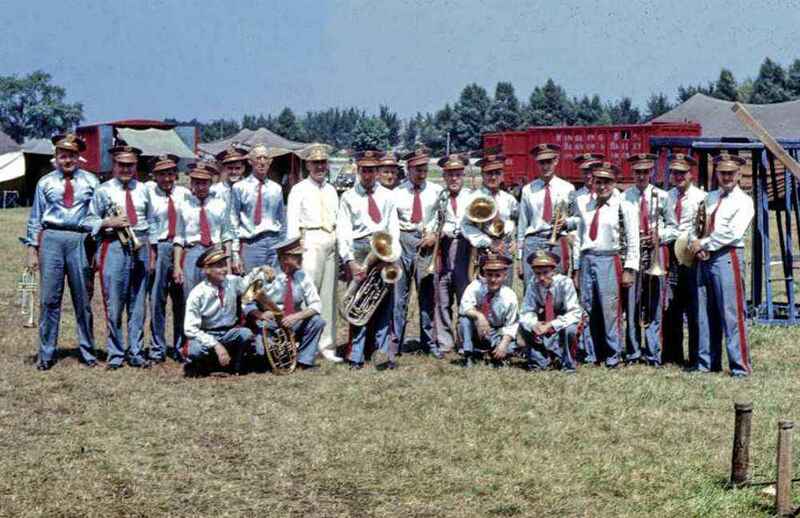 The city band often traveled and gave concerts a various city. Evans loved the band and spent much of his time watching the band practice at the city's firehouse. When the Columbus band formed a boys band, Merle was the first to sign up. The band needed a alto horn and one was ordered on for Evans, however the order was confused and a cornet arrived instead. Every free moment Merle had he would practice and soon he graduated to the adult band. In 1909 the S. W. Brundage Carnival showed at the city's annual "Old SettlersReunion". 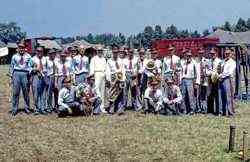 The carnival carried a large band and hired Evans as a cornet player, at $10.00 per week. Before the carnival's season had ended, Merle had taken over the position of band leader. In 1910 Merle received a telegram from his friend Cleve Pullen inviting him to join Pullen in the band aboard the Cotton Blossom Showboat. Evans left the Brundage show and joined the showboat in Paducah, Ky. Merle enjoyed the easy life aboard the slow moving showboat. 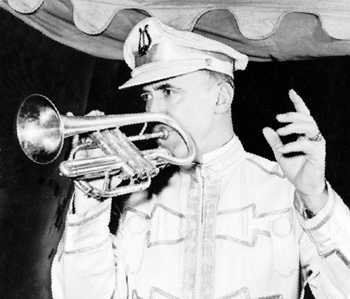 Moving between towns along the Mississippi River gave him many hours to practice on his cornet. After the riverboat Evans and Pullen took out a small repertoire show, then Merle worked with various "rep shows", comedy companies, medicine shows and in 1915 again with the Brundage carnival. After the close of the Brundage carnival's season, Merle sent a letter to the Miller Bros 101 Ranch Wild West Show, requesting the position of band leader of the show. Merle was accepted and asked to form an eighteen piece band. After the close of the Millers Bros' season Merle again worked at various jobs including operating a "Spidora" illusion show with the Brundage carnival. In 1918 Evans was working with Gus Hill's Minstrel show in Cincinnati Ohio. Charlie Wilson, the train master with the Ringling Brothers Circus happened to visit the show. Merle and Wilson had a short conversation, in which Evans mention that if a position on the circus was available please let him know. In December of 1918 Merle received an unexpected telegram from Mr. Charles Edward Ringling, requesting Evans to join the newly combined Ringling Brothers and Barnum and Bailey Circus as it's band leader for the 1919 season. Nothing could have excited the 27 year old Evans more than to be offered the position of band leader with the "Greatest Show on Earth, a position he would hold for the next fifty years. On March 29, 1919 opened with the RBBB circus in Madison Square Garden in New York City. Merle Evans became the greatest and best known circus musician of all times. 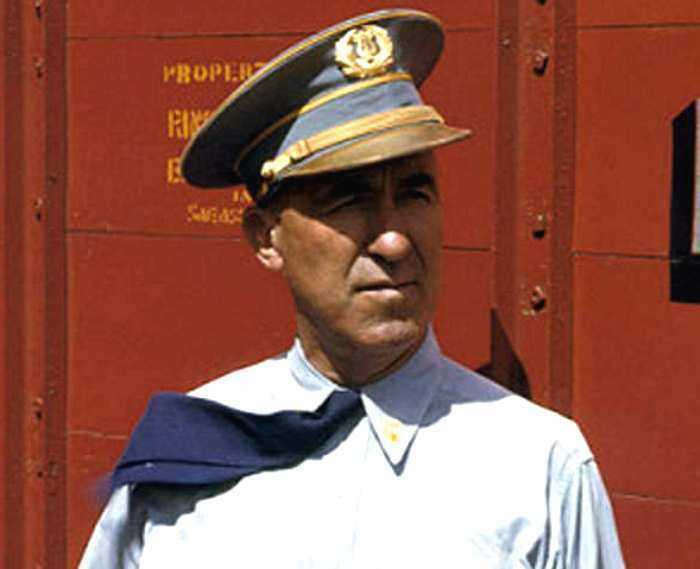 During his long career on the RBBB, Evans witnessed many historical events including the great depression, Ringling managerial changes, the labor union strikes which closed the show mid-season in 1938. Perhaps the most memorable and gravest occurred on July 6, 1944. On July 6, 1944,the Ringling Brothers and Barnum and Bailey Circus was showing in Hartford, Connecticut. During the afternoon performance fire broke out near the top of the circus' big top and spread rapidly. The crowd panicked and rushed towards the main entrance. The circus band led by Evans at great risk to themselves continued to play in an effort to calm the crowd into a more orderly and safer exit from the ongoing inferno. The band continued playing as the burning tent collapsed around them until a "quarter pole" fell through the bandstand forcing them out, the band reformed outside and began playing again. Tragically 169 people died on that day, however the number would have been much greater had not the band played on. Evans and his band are remembered heroically for their actions and bravery. You can read more about the tragedy at this link: Hartford Circus Fire. During Evans' career he wrote 8 circus marches, performed concerts in the United States and Europe, and made many records. several books have been written about his life and career. On November 30, 1969, Merle played his last performance with the Ringling Brothers and Barnum and Bailey Circus and retired to his home in Sarasota Florida. Evans remained active in his retirement, serving as a director of the Columbus State Bank in Columbus, Kansas, conducting music workshops, making personal appearances and leading bands across the country. On December 31, 1987 Merle Slease Evans died at his home in Sarasota. On April 16, 1988 Merle Evans was inducted into the Sarasota's Circus Ring of Fame. In 1966 Merle Evans received the Midwest Clinic's Medal of Honor for his contribution to music education. In 1974 Merle Evans was inducted into the Windjammers Unlimited Hall of Fame.